2016 SEMA Reps of the Year, and six time recipients! 2016 PWA Manufacturers Rep of the Year. With over 47 years of experience as Manufacturers Reps in the field, our 30-member expert staff covers the geographic area of Alabama, Alaska, Arizona, Arkansas, California, Colorado, Connecticut, Delaware, Florida, Georgia, Hawaii, Idaho, Illinois, Indiana, Iowa, Kansas, Kentucky, Louisiana, Maine, Maryland, Massachusetts, Michigan, Minnesota, Mississippi, Missouri, Montana, Nebraska, Nevada, New Hampshire, New Jersey, New Mexico, New York, North Carolina, North Dakota, Ohio, Oklahoma, Oregon, Pennsylvania, Rhode Island, South Carolina, South Dakota, Tennessee, Texas, Utah, Vermont, Virginia, Washington, West Virginia, Wisconsin, Wyoming, British Columbia, Alberta, and Saskatchewan. Michael A. Kunzman and Associates represents some of the finest manufacturers in the industry to every level of distribution including warehouse distributors, retailers, mail order companies, OEM, expediters, jobbers, installers, speed shops, engine builders, and specialty customizers. We are in constant contact with our customers by assisting them with merchandising, advertising, product displays and setup, warranty, and warehousing of products. As a measure of our performance, Michael A. Kunzman and Associates has been honored six times as the Manufacturers Rep. of the Year by the Specialty Equipment Manufacturers Association (SEMA), the most recent being 2016, and as the 2016 PWA Manufacturers Rep of the Year. With offices strategically placed throughout our territory, we enable and ensure that our sales force can quickly be in contact with the region’s key players. We also cover the territory representing manufacturers at events, shows, as well with the customers and jobbers. Background: Michael Kunzman will be celebrating his 50th year in the automotive industry in 2015. He got his start at JC Penney Company as a Buyer for their Auto Parts Stores in 1965, as he developed their performance parts program called Penny’s AFX. In 1966, Michael took a brief hiatus as an active Navy Sailor, repairing and maintaining fighter jets for US Navy Aircraft Carriers. 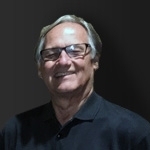 From there, Michael served as Director of Sales and Marketing for Schiefer Manufacturing starting in 1968, and VP and GM of Gratiot Auto Supply. 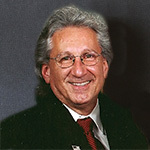 In 1971 he founded Kunzman & Associates, which Michael has been president of for over 44 years. Michael’s an avid drag racer, hotrodder, and all around automotive enthusiast. Background: Jeanne’s career started managing accounts payables and receivables in the medical industry, before starting with Kunzman and Associates in 1980. In 1992 Jeanne became the CFO at Kunzman, and, alongside Michael, has helped run the company since. Background: Tom has been an automotive enthusiast his entire life. His first love was a 1963 4-speed 409 Impala convertible, with a 1967 GTO coming in at a close second. Tom began his career in the automotive industry at Ford Motor Company in Detroit. Background: Phyllis joined the Kunzman team in 1982, and over the years has taken on many important roles within the company. 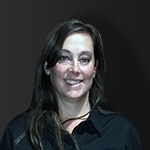 She works closely with OEM’s, and handles sales, customer service and all of the administrative responsibilities. Background: Bob is a third generation automotive industry professional – his grandfather worked at Packard and Studabaker and his father worked for Ford, GM, Chrysler and numerous suppliers. At 19 years old, Bob joined Ford while still in college, and spent nearly 13 years there in various positions with the Lincoln and Ford division in sales and marketing. Bob and his father built his first hot rod, a ’76 Grand Prix, when Bob was just 15. Bob enjoyed road racing for a few years with his ’96 Cobra, andh as had many performance vehicles since then. He currently tries to keep in ’49 Ford pickup road worthy, and is working on a car with his dad again…a ’68 Fairline fastback. Background: Jon grew up in and around the performance industry, and received his bachelors degree from Western Michigan University. He joined Kunzman & Associates in 2008 and handles various accounts and jobbers throughout Michigan, Ohio and Pennsylvania. Background: Born into the automotive world, Nathan has been a car lover since a young age. Nathan’s first car was a 1969 Chevelle, which he still has today. 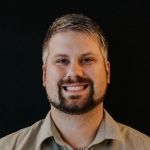 Nathan graduated from Western Michigan University and joined Kunzman & Associates in 2004. Background: Cary’s passion for performance began as a child, riding in the backseat of his father’s ’69 AXM watching the streetlights clip by while heading north on Mound Road. This passion was later solidified by a Orange D/E gas ’60 vette. Background: Adam grew up around muscle cars and drag strips. Sixties era Corvette’s were a typical sight around the Brown household, which sparked his interest in the high performance aftermarket. Adam graduated from the University of Michigan and studied for his Master’s at Oakland University. Background: After completing degrees in both Computer Science and Applied Business, Jeff joined Kunzman & Associates in 2002. Jeff worked at Whirlpool where he helped to develop their internal website, worked with IT and provided exceptional customer service. Jeff has always had a passion for muscle cars. 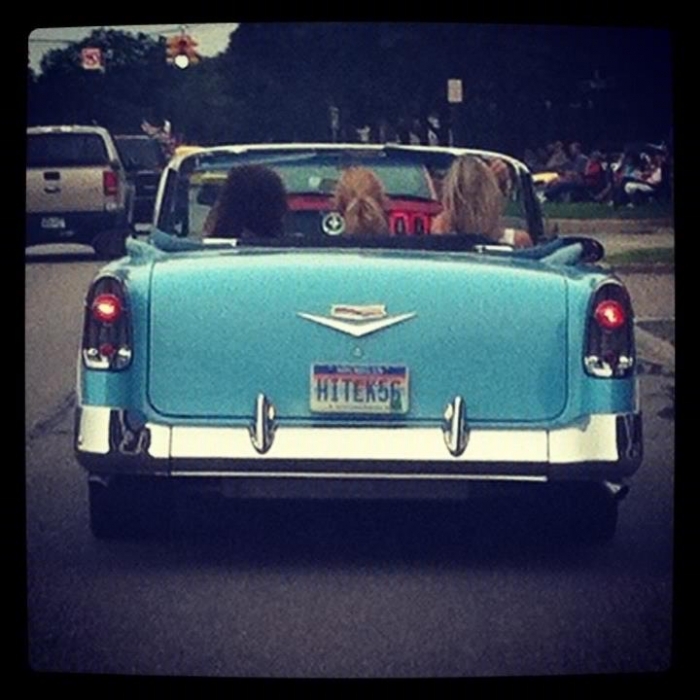 Some of his favorites include the 1960 Chevy Camaro, 1957 Chevy Convertible and the 1969 Chevy Nova. Jeff is also a NHRA fan and appreciates the time and workmanship that goes into every high performance vehicle. Background: Mike has worked in the automotive aftermarket industry for 37 years. Mike enjoys attending car shows and experiencing the innovative changes taking place in the automotive market – which all started in Detroit! Background: Ron’s interest and passion for hot rods and motorsports started a 5 years old when his brother introduced him to the raw power of a ’64 Impala with a 327 “3 on the tree.” He began his career working for drag racers at a service station that did performance work. There, he was able to learn the importance of using the right parts when building a car. First generation Camaro’s have always been Ron’s favorite, but he also enjoys helping friends and his son work on their car and Jeep projects. Background: Skip has worked in the automotive industry since 1972 as a regional manager with Grant Thrush, and eventually Mr Gasket. In 1984, Skip became a manufacturers rep, managing the Northeast accounts. His passion with performance parts has extended to truck, Jeep and hard parts product offerings as well. Background: Tim’s experience in the automotive industry began in 1989, where he worked as a store manager at an auto parts store. In 1994 he started working as a buyer for Murray’s Discount Auto Stores. He joined the Kunzman & Associates team in 2006. 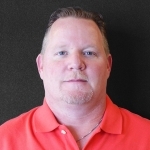 Tim also holds certificates as an ASE Certified Parts Specialist in: customer service, brakes, engines, electrical, ride control, fuel and emissions, and heating and cooling. Background: Jason has been an automotive enthusiast since he was a bracket racer at 14 years old. Jason has raced in various classes and spent many hours at the track, both racing and working on cars. He began his automotive career as a technician at Wal-Mart, then worked his way up to store manager and eventually, district manager. 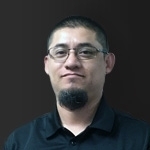 Jason also worked at ProCharger as a tech service manager for 9 years. Background: A lover of all things automotive, he began working on cars when he was about 14. Since then he has developed a passion for performance and fabrication and has built numerous turbocharged sport compacts and a few Jeeps as well. Jay spent the last 7 years at a small speed shop, starting out doing installations and fabrication and eventually moved into purchasing and wholesale sales. We are excited about having Jay as part of the team and putting his experience to work in the field. Background: Jeff has over 37 years working in the automotive industry. He previously worked as a National Account Manager for Honeywell representing the Bendix brand. 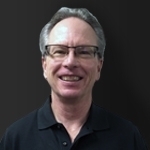 Jeff is an avid sports car enthusiast and passionate about the automotive industry. Background: John Iannotte will be celebrating 42 years in the SEMA automotive Industry in 2016. He started out working in a body shop in Kannapolis, N.C. at the age of 13 where he met Bob Barker, one of his life mentors. Bob was instrumental in guiding John towards professional sales as Bob had started working for the Mr. Phone/Mr. Gasket Co.’s. John was hired on in 1974 as the first service Rep for the Mr. 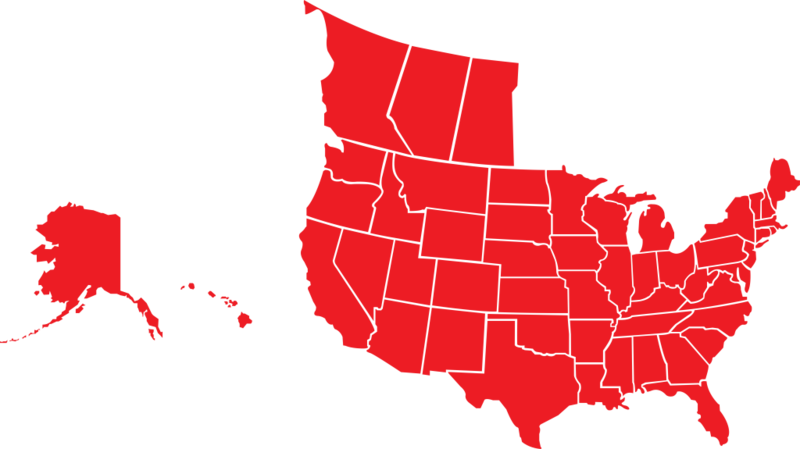 Phone Organization calling on jobbers in the Southeast. In 1975, John was promoted to Territory Salesman. Bob and John left the Mr. Phone Organization in late ’77 to start their own Rep Agency; Bob Barker Marketing and Sales. John went back to the Mr. Gasket lines in 1981 to 1989. At Bob’s death in 1989, it was Bob Barker’s wishes that John come back and take the reins again which John did. By 2001, John and Team had built a very strong Rep group in the Southeast. That Spring, the N.A. Williams, Co. offered John the opportunity to merge the Bob Barker Marketing company into their company as their Performance and Truck Accessory division. John has recently joined Kunzman and Associates (2015) to head up their Southeast division. Background: RJ has been around cars his entire life, starting with his Dad, who used to race circle track in the early 70’s. His father was always working on and rebuilding cars, including restoring a 1967 Austin Healey Sprite, which happened to be the first car RJ drove, at about 10 years old. 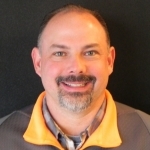 RJ got into the automotive industry in 1996 when he started at Jegs as a technical sales consultant and within a year worked his way up to supervisor of tech sales and customer service. In 2007 he was promoted to a Buyer in the purchasing department until he moved to Florida in 2013 where he managed a Firestone store. In 2016 he joined Kunzman and Associates. Background: Mitch grew up with a wrench in his hand as a baby. Many nights were spent helping his Dad work on his street car and others in the area. Before he was one years old he was at Silver Lake Sand dunes and the Drag Strip. After that he was bitten by the performance bug. Mitch is currently building his YJ for mega truck racing. 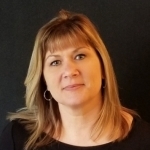 Background: Michelle joined Kunzman & Associates in 2017 having previously been an office manager for 5 years for an automotive aftermarket rep firm working directly with OEM’s, WD’s and Retailers. Background: Racing and cars has always been a love instilled in Duane from his father Hank Blalock, who was elected into the Georgia Racing Hall of Fame. He started working in gas stations in high school and built and owned many cars and trucks. During college he worked at a Chevrolet dealership in the parts department. After college, Duane spent many great years with Honest Charley Speed Shop’s wholesale division, as outside salesman, helping Speed Distributors earn SEMA WD of the Year. Next up, Duane worked for Dana Corporation as District Sales Manager and handled the NASCAR sponsorship for the Victor, Perfect Circle and Spicer brands, and received training at all of the Dana schools in engine, chassis and driveline. Peterson Publishing was his next stop as an Account Executive for Hot Rod, Car Craft, Circle Track, 4Wheel & Off Road, and the other car and truck publications. As a Sales Rep for Bill Perry & Associates, Duane received numerous awards from manufactures and WD’s for sales and service. The last few years Duane owned Rep Performance Marketing Inc, before joining Kunzman and Associates. Background: Jeff grew up surrounded by trucks, and has owned 4WD trucks and jeeps through-out his life. He ran sectioned truck pulls and has attended countless off-road events. Jeff has attended several racing schools; the highlight being Rod Hall’s off-road racing school. 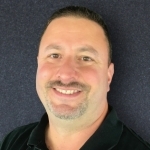 Jeff boasts 30 years worth of experience in the performance aftermarket, including 12 years in retail at a high end off road center and 18 years as a manufactures representative in the Northeast, prior to joining Kunzman and Associates. Jeff is an avid Truck And Jeep enthusiast. Background: A lifelong resident of Kansas City, MO Matt has had the opportunity to develop deep and lasting relationships with accounts throughout the Midwest. Matt started his automotive career working in small speed shops and then a long tenure with Reliable Automotive where he was fortunate enough to work in sales, graphic design and as an Operations Manager. An opportunity to work for several leading manufacturer rep groups as well as a Regional Sales Manager for a tuning company followed ultimately leading him back to Kunzman & Associates. Matt is very passionate about the automotive industry and is an enthusiast at heart. Having built everything from lifted trucks to rat rods to motorcycles his varied tastes reflect his dedication to everything with an engine. When not working a car show or attending a race in the summer you will find him cruising around the lake with his wife Michelle and two dogs, Bailey and Bristol. 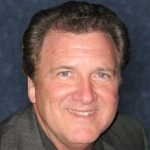 West Coast Affiliate: Ballard Allen Marketing, Inc.
President & Founder, Ballard Allen Marketing, Inc.
Background: Gerry, the President of Ballard & Allen, has over 30 years experience in the automotive aftermarket, 20 years as a manufacturer’s representative. 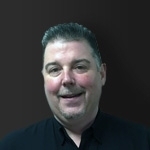 Gerry’s prior experience includes District Manager and Assistant Tech Engineer for two major automotive manufacturers. He is very active in industry organizations, including serving on SEMA Board of Directors. Gerry is a racing enthusiast and spends his free time boating and restoring his hot rod.